The first introductory video of ShowMax, the new subscription video-on-demand (SVOD) service from Naspers which started on 18 August 2015 in South Africa. ShowMax is a Naspers product targeting an SVOD play in the African continent, launched in South Africa in August '15. AS3 provided high-level program management support & co-ordination for the overall business & technical project streams. The project took many forms maintaining the spirit of the Lean Start-Up, pivoting and changing the project plans as we moved forward. AS3 maintained the communications & co-ordination between Technical Engineering, Product Management, Content Operations, Customer Care, Business, Finance, Legal & Regulatory workstreams. 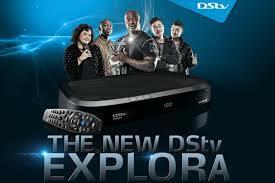 The DStv Explora has become the flagship product for Multichoice's set top box / decoder platforms. This platform is a next-generation Personal Video Recorder (PVR), with On-Demand features of Catch Up TV & Box Office Movies. This decoder was a complete redesign end-to-end, locally engineered in South Africa. AS3 not only program managed the entire product development & delivery, but also led & transformed the organisation through the changes required to deliver this product. It was the first time the client attempted to own product development in-house. A multi-disciplinary team consisting of ~200 people from across the globe (Netherlands, France, India, UK, China, South Africa) had to be co-ordinated, touching on STB Hardware, Remote Control, Peripheral Switch, Broadcast Headend Components & STB Software: Application, Middleware & Drivers. AS3 acted as the glue connecting the various teams together, to the extent of setting up working agreements, building relationships, establishing processes across the board, from CEO EXCO/MANCO level, to engineering folks involved in software development, integration, testing and delivery. AS3 managed senior stakeholders often through intense periods of the project, and worked tirelessly to promote different ways of working to guarantee the project's success. The result was a remarkable delivery of an amazingly well-received product, produced in South Africa, unlike any product before. 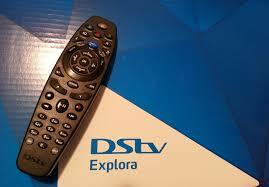 DStv Explora launched first in South Africa in July 2013, followed by the rest of the countries across the African Continent by October 2013, and then subsequent updates with Box-Office Africa deployments happened in early 2014. AS3 provided the overall planning schedules for all these deployments. AS3 continues to coach and guide the Explora Software Release Management teams, helping with process improvements, exploring more agile & lean methods of product delivery, and overseeing end-to-end program management for major feature upgrades. AS3 intentionally creates the space to exit from major programs once we determine that our services have been sufficiently rendered to allow the employees to take over the reigns and run on their own. AS3 however, assists with the interviews for new managers, and provides input into department and program restructuring efforts, including crafting job specifications for new roles, and setting the teams up with vision for future product innovations. Building from the launch of DStv's most advanced Set Top Box to date, the DStv Explora - we released the connected features a year later. Essentially giving South African customers for the first time, the ability to download and watch TV over the internet from their STBs. 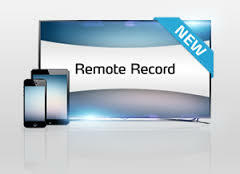 It is also possible to remotely set your recordings on your STB when you're not at home, using a web browser, or app on your smartphone or tablet. This was a first for the South African consumer. AS3 again managed the program delivery of this rollout end-to-end including new hardware, Explora software & Cloud-based Server -Side Components. This touched on various business units within Multichoice, DStv Digital Media and other group-owned companies, including MNET & Supersport. DStv also provided a standalone device, called the DStv WiFi connector which acts as an ethernet-wifi bridge to allow Explora to wirelessly connect to the home network. This program was another high-profile, time-critical, fixed-deadline delivery that had to be made. AS3 had to manage relationships and expectations across the business, often dealing with sensitive team dynamics. Connect your DStv Explora to the internet and instantly have access to hundreds of hours of the hottest series, movies, kids shows and more. 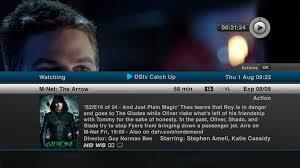 Subscribe to DStv's YouTube channel for so much more entertainment, interviews and programming. This project is definitely one of the best experiences AS3 had the privilege to work with world-class, exceptional people across the board, from engineers to senior management. At the time, AS3 worked with NDS (which is now part of Cisco). We provided the core software services components, essentially the STB Middleware, known as "Darwin", which in itself was at the time, the most advanced TV middleware around. 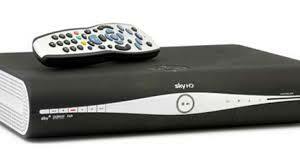 Sky intended to upgrade all their existing HD STBs from their existing platform to Darwin, in the order of 2.5+ million subscribers. 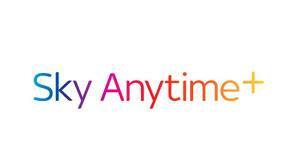 In addition, Sky would enhance their EPG Application by offering advanced PVR functions, and the new, Anytime Plus On Demand, allowing users to access a huge catalog of content, download and watch over the internet. AS3's part in this massive program as Development Owner / Technical Project Manager for the entire Middleware Software delivery. The teams were located across UK (2 sites), India (2 sites), France, Israel & Korea, a large team in its own right, with well in excess of 300 people. Working across boundaries with multiple teams (senior management, middle managers, architects & engineers), with different cultures, the project was centrally governed out of the UK, through a very small product management team. Whilst the Systems & Software Engineering discipline was highly rigorous, yet at the same time, we adopted an agile, iterative mindset to delivery. AS3 has written extensively on this project in the public domain. NDS Snowflake™ is based on a unique user interface that is both sleek and smart. It delivers what viewers want: a simple look and feel that integrates brands, channel widgets and social networking. It presents the same full screen video experience whether your subscribers are browsing or consuming content. The Snowflake UI / User Experience is a modern, powerful design framework that is cross-platform across multiple devices: STBs, TVs, Smartphones & Tablets. As an end-to-end solution provider for the Digital TV media space, having landed major accounts such as UPC Horizon, Zon, SFR, etc, NDS/Cisco decided to incubate a team that would develop the technology that would allow PayTV Operators to leverage off the existing Snowflake implementation architecture, including the navigation and design paradigm - and be allowed to customise look & feel, behaviours, animations, etc. very quickly. AS3 facilitated the entire start-up activity, from STB technology implementation options (Java vs Flash vs Adobe ActionScript vs HTML5), to creating and ramping up remote development teams in India & Paris, to Product & Program Management, liaise with Marketing & Strategy departments, and running the program delivery. We would do complete STB integration end-to-end, including EPG Application Development (Snowflake UX, Wireframes, Coding), Integration & Testing. The teams were distributed across UK (2 sites), France, Israel & India. We would run demos at exhibitions and roadshows, especially showing the unique customisations and tailoring options that could be done without having to redeploy code. There were unique challenges w.r.t. this particular program because of it's strategic nature, we had to share people across projects, respect other customer project deliveries, and plan such that we leverage and capitalise on product features already being planned and worked on for other project deliveries. Notwithstanding communication challenges, technical ownership debates, and negotiating for resources and budgets, as well as influencing & getting buy-in at project reviews. The initiative was successful in terms of finding its place on the business roadmap, settled on the architecture, formed the respective engineering teams and disciplines, project processes and a realistic product backlog that had an implementation timeframe of 12-18 months. We handed over the reigns once the start-up phase was deemed complete. AS3 helped with showcasing demos, supporting marketing & sales teams in customising the product features, functions and offerings. Including in-depth gap analysis of multiple customer feature-sets, producing a unified product backlog, that culminated in an overall staged-program delivery plan. This was considered enough artefacts to handover to a delivery / implementation team. AS3 then went on to focus on accessibility projects for Independent Living, Talking EPG or Talking TV for Blind/Partially-sighted people. From 2006 till 2011, AS3 led the incubation of the idea of a Talking Set Top Box, addressing the need to make TV viewing more accessible to Blind or Partially Sighted people. Click here to read the full background. What started off as a kind of 20% Google-time like project (Greenhouse Project), was actually implemented after work hours. AS3 sought out requirements directly from customers & organisations such as the RNIB, and having processed their requirements, iterated through a few prototypes from concept PC-simulators, to real-world integration of Text-to-Speech engines in STB Middleware stacks. AS3 implemented the solution completely in software, using free and open source stacks wherever possible, specifically the Flite Speech Engine, a child of the renowned Festival Speech Engine. AS3 has extensive experience and knowledge in applied research with regard to accessibility requirements in the Digital Media space and can help companies seeking to a) Do research b)Implement a suitable technology platform. AS3 was recognised internally as an innovator, not willing-to-let-go, breaking through the ranks and engaging with all levels of business to sell the idea. AS3 presented at Trade Shows, R&D Exhibitions and Developer Conferences. 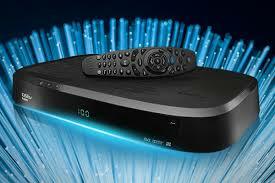 In 2011, the Speaking EPG was folded with another incubator project looking at Independent Living environments where the TV was the central management hub. 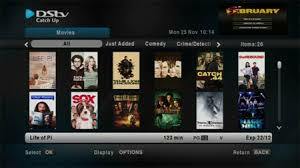 It made sense to implement a Talking TV interface, no so dissimilar to the videos showcased here. The work that AS3 pioneered resulted in the company mentioning in public press release, read about it here.